Dr. Gary Polan has been in solo private practice in Pacific Palisades, California continuously since 1985. He has appeared as a featured guest on KFI radio during their Vision Appreciation Month, and has served as Editor-in-Chief of the Los Angeles County Optometric Society newspaper for two years. Dr. Polan was a featured guest on Dr. Klapper's Weekend Warrior Radio Show discussing Vision Therapy and Sports Vision. The show is available on ESPN LA podcast July 15, 2017 first hour. He has also been featured on ABC-TV News, highlighting his expertise in both sports vision and learning disability therapy.On November 28,2018 he was interview by Lynda Huey from Meet The Doctors. You can listen to his podcast on MeetTheDoctorsPodcast.com , where he discusses his career and expertise. Dr. Polan recently completed a successful year as chief of Continuing Education for the Los Angeles County Optometric Society (LACOS). In April 2019, he was elected president of the (LACOS) society. He is also serving as a consultant for the NBA shooting coaches. Dr. Polan specializes in Sports Vision, Vision Therapy and Developmental Vision. He has served as a consultant to Billie Jean King and World Team Tennis. He has worked with high school, college, Olympic and professional athletes on vision, depth perception and spatial relationship awareness, to enhance athletic performance. He regularly lectures to other eye care professionals on vision therapy and sports vision. In 1984, Dr. Polan presented the results of a yearlong study on the relationship between contrast sensitivity and Sports Vision. These results were published in the 1984 Journal of the American Optometric Association. In 1996, a five-year study published in the American Journal of Ophthalmology validated Dr. Polan's pioneering work. A team of doctors from UCLA's Jules Stein Institute performed this research. Dr. Polan is also involved in developing new products for eye care. He is co-founder of the Palisades Eye Care Company, which has patented a lint free tissue known as LintFree Aquablotters to aid in the application of contact lenses. 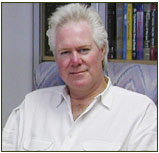 Dr. Polan received his Bachelor of Arts degree in Psychology from the University of Southern California in 1978. Postgraduate degrees include a Bachelor of Science in Visual Psychophysics in 1982, a Doctor of Optometry in 1984, both from the Southern California College of Optometry ("SCCO"). Additional honors while in professional school included serving as Editor-in-Chief of Scope, a nationally-honored newspaper of the SCCO. He received his certificate of completion in vision therapy training in 1983, and was named to the National Honor Society. He served in optometry residency positions at State University of New York's College of Optometry (specializing in vision therapy and sports vision), and the San Bernardino Juvenile Hall Project (also focusing on vision therapy). He attends as a member of the clinical faculty for the Brentwood Veterans Administration Hospital and for the Southern California College of Optometry in Fullerton.